Your Enterprise Resource Planning (ERP) system is one of your most valuable business investments. But the manual tasks and unstructured data that fall outside your ERP system slow down invoice processing and require inefficient and error-prone data entry. According to the IOFM, integrating solutions with ERP systems lets organizations achieve true end-to-end automation by validating invoices against ERP supplier and PO information, ensuring that general ledger coding agrees with the ERP and ensuring correct invoice posting. What we know: ERP integration is an essential part of accounts payable automation. As the system of record for your invoice management processes, you require a solution that works within your ERP environment, not around it. Over 12,000 organizations leverage ERP-certified solutions from Kofax – streamlining financial processes that were once disjointed, complex and time-consuming, and enabling true ERP optimization. 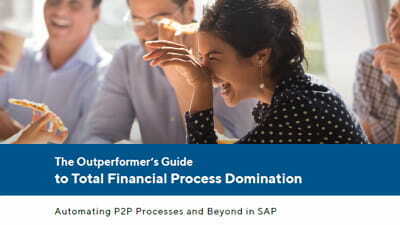 Master complete visibility and control over financial processes inside SAP once and for all with an SAP-certified platform, ReadSoft Process Director™. The platform’s data capture and automated workflow technology runs seamlessly within your SAP system, capable of automating your complete purchase-to-pay, order-to-cash and record-to-report processes. Streamline invoice processing with real-time integration to Oracle E-Business suite with Kofax MarkView™ for accounts payable. Industry-leading invoice capture combined with best practice workflows for discrepancy processing, resolution and accounting details inside Oracle E-Business Suite provide unmatched capabilities to achieve true end-to-end accounts payable automation. 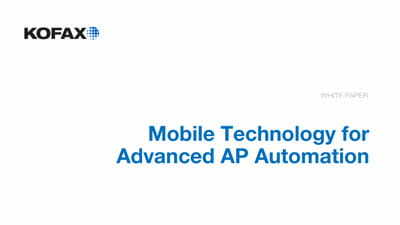 Kofax also offers enterprise platform accounts payable automation solutions that work within any ERP or multiple ERP environments to optimize end-to-end invoice processing.